Come on, tell me you don’t like that front end combination of chunky loominum hooped spokes, 6 pot Pretechs gripping early Suzuki discs iced (white) with a perfectly proportioned mudguard, and a period ‘cherry on top’ fork brace? Well I do. I like the big negative space (once obscured by the side panels) that now accentuates that positive 8 valve flatty draining 1085 cubic centimetre’s of OSS. I like the slightly stubbed rear opposing that monstrous ‘Mr Whippy’, the balance of yellow and the gradient of the white flash. I even like the rear reflectors! Some parts I dismissed because I hadn’t taken into account the brief, an AMA inspired gs1000. so with that in mind I made a call and a sensible conclusion. 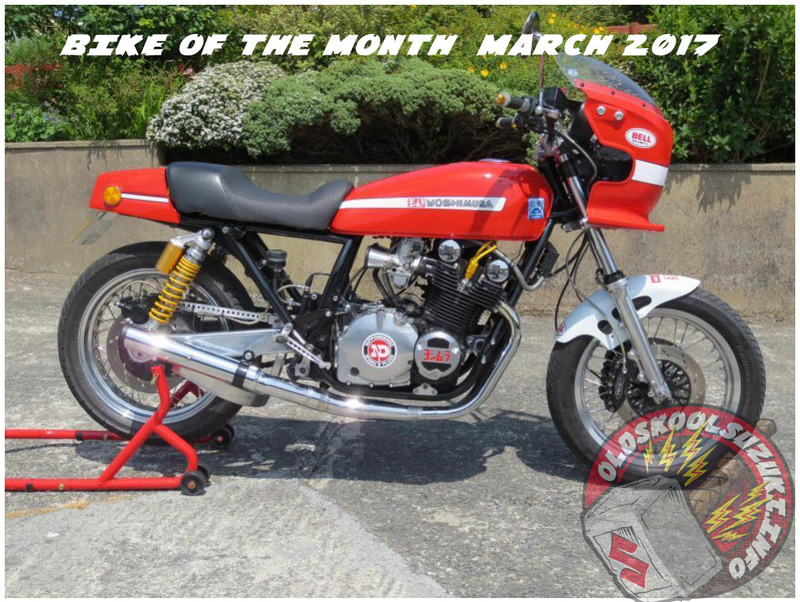 Congratulations RUSSP your GS1000 special is BOTM. P.S That rear sprocket will never win me over.